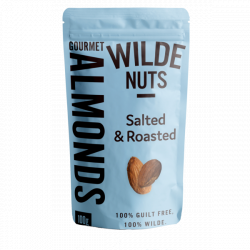 Wilde Nuts exists for one reason: to provide you with great tasting, nut-based products that give you high-quality nutrition without compromising on quality or flavour. They set out to provide an alternative for the health-conscious consumer that was natural and did actually taste great. 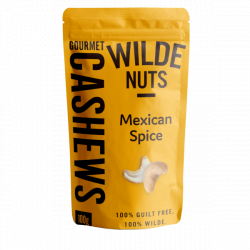 Most nuts have unique nutritional properties and are excellent substitutes to meat products or just simple compliments to a balanced diet. They got to work and began concocting delicious raw granolas and an assortment of gourmet nuts from our purpose built nut roastery in Stratford-upon-Avon as well as specialised partners in Holland. People loved them and – well – the rest is history. 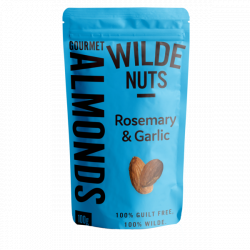 They’ll continue to provide great-tasting nut products to people who care about what goes into their bodies, and will stay true to their core, staying real, staying fun and staying “Wilde”. Natural. No nonsense. Raw. Wholesome. In touch with the earth. Wilde. Our Sour cream & onion cashews recently won a great taste award!